Meet Rachel Meghan Markle, the American woman who will marry the UK's Prince Harry on May 19, 2018. Markle, 36 — who was born August 4, 1981, in Los Angeles — is really the reason why the upcoming royal wedding is special. And she's going to be in our lives for a long time, so you might as well get to know her. Here goes! First off: She looks familiar, right? As an actor, Markle is most well-known for her role as paralegal-turned-law student Rachel Zane on the USA legal drama, Suits. Markle has been on the show since its beginning, in 2011, and will be leaving at the end of the seventh season. She filmed her final scenes for the show last year in Toronto before moving to London. Before Suits, Markle appeared in many different small roles on television and in movies. Highlights include a two-episode role on Fringe and a Tostitos commercial in 2009, as well as bit parts in Remember Me (2010) and Horrible Bosses (2011). Markle has been actively involved in humanitarian causes, particularly those that support women's health and rights, and has worked with different organizations on the ground in Africa and Asia, including World Vision and the United Nations Entity for Gender Equality and the Empowerment of Women. In a November 2016 essay she penned for Elle magazine, Markle said that philanthropy and charitable work "feeds her soul" and that her goal in life is "to use whatever status I have as an actress to make a tangible impact." One of the causes Markle has been most outspoken about is women's access to menstrual health products, sanitation, and getting rid of the stigma against menstruation in developing countries. In March 2017, she wrote an article for Time about her work with World Vision and a grassroots organization in Mumbai called the Myna Mahila Foundation in India combatting these issues. Markle and Prince Harry have recently selected the Myna Mahila Foundation as one of the seven charities that they have asked people to donate to in lieu of wedding gifts. Markle apparently became an activist at a young age — In 1993, she led a campaign to get a soap manufacturer to change a national slogan because it was sexist — and they did. She was featured on Nick News on Nickelodeon for this, which you can watch here. She has definitely made her political beliefs known in the past — she posted against Brexit and openly supported Hillary Clinton during the 2016 election. This is something she will not be able to do as a member of the royal family. On May 4, 2016, on The Nightly Show with Larry Wilmore, Markle called Trump "misogynistic" and joked about moving to Canada if he was elected president. "We film Suits in Toronto and I might just stay in Canada," she said. "Of course Trump is divisive. Think about just female voters alone," she said. “I think it was in 2012, the Republican Party lost the female vote by 12 points. That's a huge number and with as misogynistic as Trump is and so vocal about it, that's a huge chunk of it." During the Democratic National Convention in 2016, Markle posted a picture of Clinton delivering a speech with the hashtag #ImWithHer. Markle was married before and got divorced — who was her first husband? 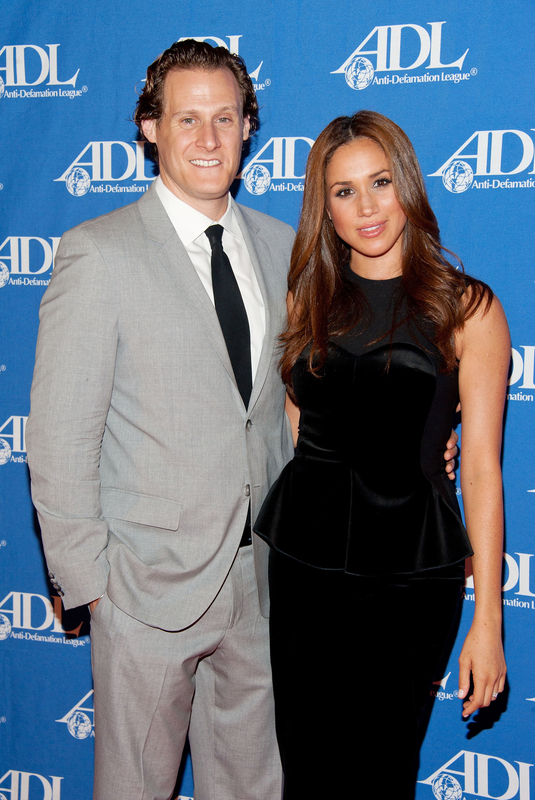 Meghan Markle was married to film producer and talent manager Trevor Engelson, 41, from 2011 to 2013. The two dated for six years before getting married in Jamaica on Sept. 10, 2011. They filed for divorce citing "irreconcilable differences" in August 2013. 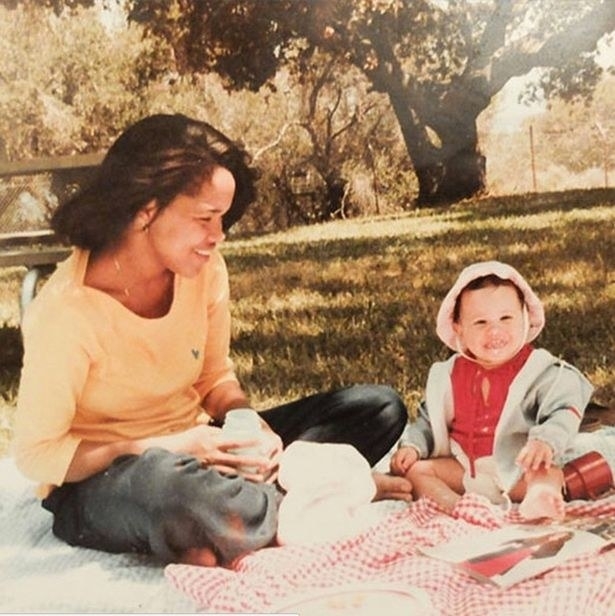 Markle's mother is Doria Ragland, 61, a yoga instructor and therapist at a Los Angeles nonprofit mental health clinic. Her father is Thomas W. Markle, 72, a retired Emmy–award-winning lighting director and camera operator who worked on shows such as General Hospital and Married With Children. Markle's parents issued a joint statement congratulating their daughter and Prince Harry when the engagement was announced. Okay, so Meghan Markle is biracial — has she ever talked about that? Yes, Markle has spoken and written about growing up as biracial and about her experience as an "ethnically ambiguous" actor in Hollywood. In a 2015 essay titled "More Than An Other," she described herself as "a strong, confident mixed-race woman." "While my mixed heritage may have created a grey area surrounding my self-identification, keeping me with a foot on both sides of the fence, I have come to embrace that." In the 2015 essay, she also wrote about the abuse she received online when her Suits character — and, by extension, she — was revealed to be biracial. "The reaction was unexpected, but speaks of the undercurrent of racism that is so prevalent, especially within America. On the heels of the racial unrest in Ferguson and Baltimore, the tensions that have long been percolating under the surface in the US have boiled over in the most deeply saddening way. And as a biracial woman, I watch in horror as both sides of a culture I define as my own become victims of spin in the media, perpetuating stereotypes and reminding us that the States has perhaps only placed bandages over the problems that have never healed at the root." In her and Prince Harry's engagement interview with the BBC, Markle called the critical focus on her ethniticity following the news that they were dating "disheartening." "It’s a shame that that is the climate in this world to focus that much on that or that that would be discriminatory in that sense. But I think, you know, at the end of the day I’m really just proud of who I am and where I come from and we have never put any focus on that. We have just focused on who we are as a couple." Yes, but they're not close and not invited to the wedding — Markle has two estranged older half-siblings from her father's first marriage: Samantha Grant, 53, and Thomas Markle Jr., 51. Grant, who lives in Florida, has been blasting her half-sister to the press and on Twitter ever since news broke of Markle's relationship with Prince Harry, giving interviews to UK media outlets that paint Markle as a shallow social climber. She claims to soon be releasing a book called "The Diary of Princess Pushy’s Sister" that will include never-before-seen pictures and tales from Markle's childhood. She recently went on a Twitter rant about not being invited to the royal wedding. Markle Jr. is a window fitter living in Oregon whose drunken arrest for menacing, pointing a firearm at another person, and unlawful use of a weapon made headlines last year because of his connection to Prince Harry's new girlfriend. In an interview with In Touch magazine in February, Markle Jr. said that Markle refused to help him with the media scrutiny in the wake of their engagement announcement, calling his half-sister's actions "a slap in the face" and "below the belt." Markle graduated from Northwestern University in Illinois in 2003 with a double major in theater and international studies. "I had always been the theater nerd at Northwestern University," Markle said in a 2013 interview with Marie Claire magazine. "I knew I wanted to do acting, but I hated the idea of being this cliché — a girl from L.A. who decides to be an actress. I wanted more than that, and I had always loved politics, so I ended up changing my major completely, and double-majoring in theater and international relations." Bonus facts: While at Northwestern, Markle was a member of the Kappa Kappa Gamma sorority, and during her junior year, she interned at the US Embassy in Buenos Aires. Didn't she have a blog? Yes — Meghan Markle ran a lifestyle blog called the TIG from 2014 to 2017. "The TIG is a hub for the discerning palate — those with a hunger for food, travel, fashion & beauty," she wrote on the website's homepage. "I wanted to create a space to share all of these loves — to invite friends to share theirs as well, and to be the breeding ground for ideas & excitement — for an inspired lifestyle." In an interview shortly after the TIG launched, Markle said the blog's name was inspired by the wine Tiganello, which to her is synonymous with "getting it." "Tignanello is a full-bodied red wine that I tried about seven years ago," she said. "In wine circles, it is nicknamed 'Tig.' It was my first moment of getting it — I finally understood what people meant by the body, structure, finish, legs of wine. The TIG is my nickname for me getting it. Not just wine, but everything." In the three years the blog was online, Markle posted about everything from Suits filming details, dispatches from her volunteer trips with charities, memories of her childhood, favorite recipes, restaurant recommendations, and interviews with other celebrities. So when exactly did she meet Prince Harry? The couple met on a blind date arranged by a mutual friend in London in July 2016 while Markle was doing press for Suits in the UK. "I didn’t know much about him and so the only thing that I had asked her when she said she wanted to set us up was — I had one question. I said, ‘Well, is he nice?’ Because if he wasn’t kind, then it didn’t seem like it would make sense," Markle said in the couple's engagement interview with the BBC. "I had never watched Suits. I had never heard of Meghan before," Prince Harry said. "I was beautifully surprised when I walked into that room and saw her and there she was sitting there. I thought, I am really going to have to up my game here, sit down and make sure I’ve got a good chat." Although the couple has not revealed the identity of the friend who set them up, the matchmaking mastermind has reportedly been identified as Violet von Westenholz, the daughter of a baron who has known the prince for years and became friends with Meghan through her work in PR at Ralph Lauren. Yes — Prince Harry and Meghan Markle have said in interviews that they both knew during their first date that this was something special. "We went and met for a drink then, I think, very quickly into that we said, ‘What are we doing tomorrow? We should meet again,' Markle said in the couple's engagement interview with the BBC. "And then it was like — diaries," Prince Harry said. "We need to get the diaries out and find out how we are going to make this work because I was off to Africa for a month. She was working. We said, ‘Right, where is the gap?’ And the gap happened to be in the perfect place." Three weeks after they first met, Markle flew to Botswana to spend a week with Prince Harry, which they both describe as a key moment in their new relationship. "We camped out with each other under the stars, we spent — she came and joined me for five days out there, which was absolutely fantastic," Prince Harry said. "So then we were really by ourselves, which was crucial to me to make sure that we had a chance to get to know each other." Were there any social media clues about the new relationship? Yes — but they were so subtle that they were only noticed after news broke that Prince Harry and Meghan Markle were dating. The best example of this? 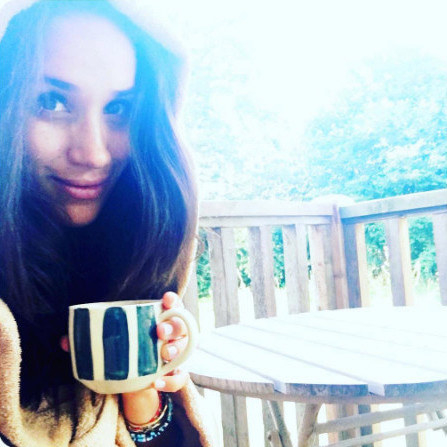 In October 2016, Markle posted several images on her now-deleted Instagram of herself in London, wearing a blue beaded bracelet that appeared to be identical to one that Prince Harry had been photographed wearing after returning from a trip to Africa. How and when did the media / the world find out that they were together? News of their relationship was first reported by People magazine on Oct. 31, 2016, nearly five months after Prince Harry and Meghan Markle met. After their Botswana trip together, they had been dating long distance and quietly visiting each other every two weeks — she flying to London to see him and he flying to Toronto to see her. Prince Harry was reportedly in Toronto visiting his girlfriend when the news broke. That same day, Markle posted a picture of two spooning bananas on her Instagram page, which some thought was a cheeky way of confirming the relationship. Didn't Prince Harry confirm that they were dating and tell the media to back off? Yes — in a very rare move, on Nov. 8, 2016, a week after news broke that he and Meghan Markle were dating, Prince Harry issued a statement calling her his "girlfriend" and condemning the media's "abuse and harassment" of Markle and her family and the "racial undertones" of the press coverage. When the statement was released, BuzzFeed UK published a post highlighting some of the worst headlines and takes from the British media since the news of Markle and Prince Harry's relationship broke, such as the Daily Mail headline, "Harry's girl is (almost) straight outta Compton: Gang-scarred home of her mother revealed — so will he be dropping by for tea?" "[The British press] have made it clear that her relationship with Harry is scandalous, for a number of reasons: she is divorced; she is older (Markle is 35, Harry 32); she’s played raunchy scenes in the US TV series Suits – and her mother is visibly black, with dreadlocks," journalist and author Afua Hirsch succinctly summarized in a Guardian op-ed published Nov. 2, 2016. What's her religion? Does she have to convert to marry Prince Harry? Meghan Markle was raised Protestant and attended Catholic school as a child, but has reportedly converted and been baptized and confirmed in the Church of England since becoming engaged to Prince Harry. Although conversion to the Anglican faith is not a mandatory requirement to marrying Prince Harry, it seems to be a standard operating procedure for royal brides to be baptized and confirmed in the church before marriage. Catherine, Duchess of Cambridge, was also confirmed in the church before her marriage to Prince William. Days after the reported baptism, Markle began wearing a new diamond cross bracelet (seen in the picture above if you squint) during her royal engagements with Prince Harry, which many speculate was a gift from her fiancé to mark the occasion. Okay, let's end on a really serious note: Is she a cat person or a dog person? Evidence suggests that Markle is a huge dog fan. 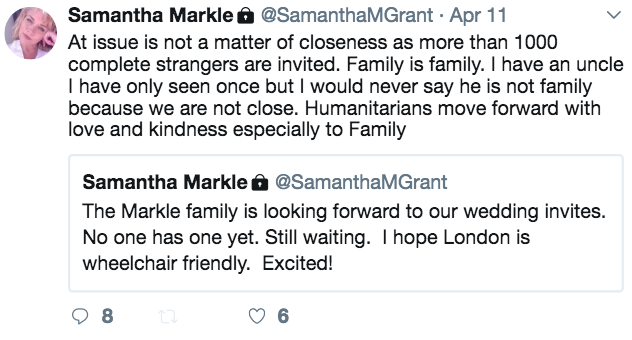 Markle has two rescue dogs. She adopted Bogart, a Lab/shepherd mix, at a shelter in Los Angeles (after Ellen Degeneres told her to) in December 2012 and Guy, a beagle, in March 2015. A large percentage of her Instagram posts featured her and her canine duo and she encouraged her followers to adopt from shelters instead of buying from breeders or stores. Sadly, Markle confirmed in the couple's engagement interview with the BBC that she had to leave Bogart with friends when she moved to the UK (thought to be for health reasons). Guy is now living with Prince Harry and Meghan Markle at Nottingham Cottage in Kensington Palace, and according to the prince, the queen's corgis have taken a liking to his fiancé. "I’ve spent the last 33 years being barked at. This one walks in, absolutely nothing," he said in the engagement interview. "Just laying on my feet during tea, it was very sweet," Markle said.